Huawei Technologies went on a charm offensive this week, launching its first processor chip for servers and opening the doors of its research labs for the first time in history. Huawei Technologies went on a charm offensive this week, launching its first processor chip for servers and opening the doors of its research labs to journalists for the first time in the company’s 30-year history. Huawei has been much in the headlines of late. Some Western countries are resisting the use of its wireless networking equipment over security concerns, and legal wrangling continues over Canada’s detention of company Chief Financial Officer Meng Wanzhou on a US arrest warrant. Huawei has long been a company eager to maintain a low profile. That may be changing. 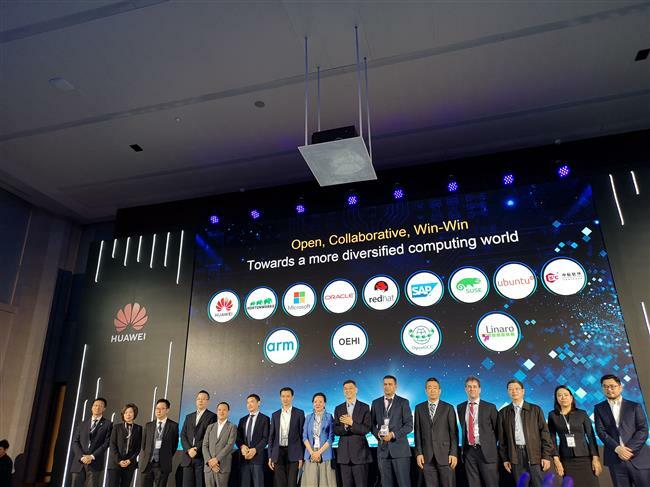 During the conference, Huawei kicked off the Kunpeng 920, its first independently designed chip for computer servers, which is aimed at boosting development of big data and cloud applications and reducing dependence on foreign chips. It will offer more choices besides the likes of Intel and Advanced Micro Devices. More notably, Huawei invited journalists, including reporters of international media, to visit its 2012 Research Institute in Shenzhen and its Songshanhu production facility in the nearby city of Dongguan. The 2012 institute is the “brains” of the company, which has spent almost 400 billion yuan (US$58 billion) on research and development in the past decade. Songshanhu is Huawei’s latest smartphone manufacturing base. The company sold over 200 million phones in 2018, surpassing Apple to become the world’s No. 2 vendor. 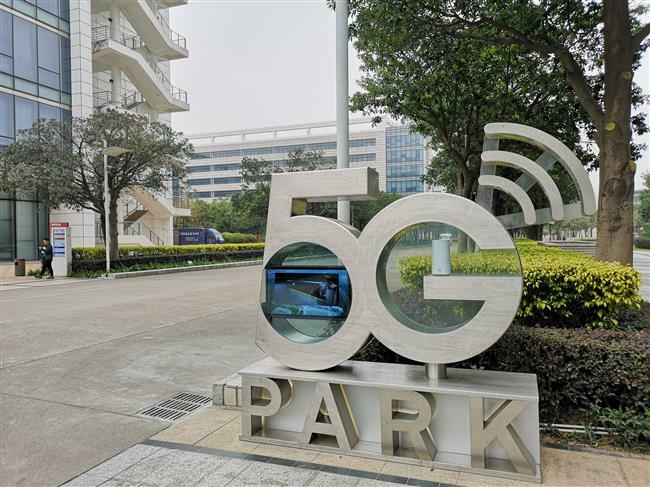 Among the innovations to come out of the 2012 Research Institute are a wardrobe-size device containing the core of a city’s broadband network, a self-adapted system for wireless networks to reduce energy consumption, and autonomous driving and parking tests on roads in Shanghai. The company is at the vanguard of changing daily lifestyles with faster family broadband, energy-saving networks, smartphones with artificial intelligence able to “understand” users, and self-driving cars. Like the top labs of other tech giants, photography and voice recording devices were prohibited during a tour of the facilities. Huawei officially denied any specific connection between the tour and the detention of Meng, now out on bail in Canada pending a court ruling on a US extradition warrant. Controversy also still reigns over the security concerns expressed by some foreign governments toward use of Huawei’s telecommunications equipment in their domestic networks. Huawei remains “an important supplier” of access equipment in the 4G, 5G and fixed networks of telecom service provider BT, a spokesman for the British company said. For 2018, Huawei’s revenue is expected to surpass US$100 billion for the first time, thanks to booming sales of telecommunications gear and smartphones. Spending, which totaled 394 billion yuan between 2008 and 2017, has fueled the company’s growth. Huawei unveils the industry’s highest-performance ARM-based CPU and announces partnerships to build a cooperative ecosystem in its headquarters on Monday. The name of Huawei’s 2012 Research Institute comes from the 2009 movie “2012,” an American science fiction disaster film in which people built huge arks to prepare for global disasters. The company chose the name because Huawei was regarded as a Noah’s Ark in the digital world connecting everything and everyone, according to Huawei founder Ren Zhengfei, Meng’s father. A sub-lab of 2012 is directly nicknamed Noah’s Ark. Several other sub-labs are named after global notables, such as mathematician Carl Friedrich Gauss and computer scientist Alan Turing, Shanghai Daily learned during the visit. In 2018, Huawei ranked fifth globally in research spending, surpassing figures for Apple and Intel, according to a recent European Commission report. The annual spending of Huawei topped 11.3 billion euros (US$12.9 billion), following Samsung, Google, Volkswagen and Microsoft, according to the report. The company’s lab is at the heart of developing advanced technologies. A city’s core fiber-optic lines, which connect several million broadband family users, are gathered and processed in a wardrobe-size device. The “nexus of highways” helps carriers improve network speeds and save space and cost, according to the Huawei scientists on optical technologies. It represents an industrial upgrade from electrical communications to optical communications, which feature much faster Internet access. Huawei’s Noah’s Ark Lab, founded in 2012, has over 300 scientists in 12 cities globally. It works on technologies used in various devices and industries, such as artificial intelligence, said Zhao Qian, director of its Shenzhen branch. In the lab, Huawei showed a self-adapted system of wireless networks for higher power efficiency, which helped one province save 8 million kilowatt-hours of electricity consumption a year. The system is described as the “autonomous driving” of wireless network management. In another demo, a self-driving car drives several hours in a test and executes a complete parking procedure. Parking is the most difficult part because of the poor signals often found in parking lots. Huawei solves the problem by laser communications, machine learning on environmental recognition and analysis with sensors. With research on intelligent communications, interaction between machines and humans, computer vision, natural language processing, smart searches and decision-making analysis, Noah’s Ark has become a pioneer lab in artificial intelligence, Zhao explained. On Monday, Huawei also released its first self-developed central processor and servers adopting the chipset. The new processor gives Huawei an eco-system of chips covering smartphones, artificial intelligence applications and servers. The company repeatedly emphasized that it is open to link-ups with industry partners, including Intel and ARM Holdings. It showed reporters a picture with several dozen companies as partners of Huawei’s eco-system. “I couldn’t have shown you such a picture several years ago because we had very limited partnerships then. Now we have a full screen names,” said Redfox Qiu, president of Huawei’s Intelligent Computing division.